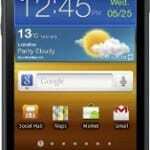 Samsung is a big giant in the tech world widely known for well built high-end smartphones. 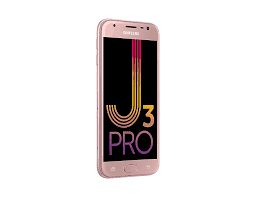 The Samsung Galaxy Pro (2017) is an upgrade to the budget Samsung Galaxy J3 smartphone with more internal memory, storage space to mention a few. 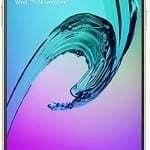 Being a budget smartphone, the features offered here are low grade and does not really offer much in terms of specs. Let’s have a look to see if this is the ideal smartphone for you. Rather than having a plastic body like most of these budget smartphone, the smartphone comes with a metallic build. Nonetheless this is nothing compared to what you have in the high-end alternative. There are quite large bezels above the screen and there is a physical home button at the bottom flanked by two touch buttons. What you have here is not much but is enough at least for a budget smartphone such as this one. Measuring up to 5.0-inch, which is a bit small with thick bezels around it. The screen has a resolution of 1280 X 720 pixels and a pixel density of 294 ppi approximately. There is nothing much to go on when it comes to battery power. The Samsung Galaxy J3 Pro (2017) features a small 2, 400mAh Li-ion battery which also happens to be non removable. Looking at the specs of the smartphone, this should be able to take you through the day on light usage. Pictures taken with the smartphone might not be excellent like ones taken by premium smartphones but its quality is enough for your social media activities. That being said, there is a 13MP camera with flash on the back panel alongside a 5MP from camera which is also equipped with flash. Talking about what is on the inside, the Samsung J3 Pro is run by a decent Samsung’s own SoC. In that regard, the smartphone features a quite capable Exynos 7 Quad-core 7570 processor clocking at 1.4GHz and a Mali-T720 MP2 GPU. In addition, you are also provided with a 2GB RAM which multitasks quite fine for a budget smartphone accompanied by a 16GB internal storage space. You can decide to add more storage up to a whopping 128GB using a memory card. The Samsung Galaxy J3 Pro (2017) also has Android 7.0 Nougat pre-installed from the factory. The smartphone is available in a number of online stores and retail outlets out there. It’ll cost you about 62, 000 Naira depending on the deal and your location.